Asparagus, Latin name, Asparagus officinalis, is a perennial vegetable that is best grown on plots which will not be disturbed. It is believed that the plant was first grown in Greece around 500BC, back then the plant was only used for medicinal purposes. Asparagus was found to be very helpful in terms of curing kidney stones, urinary tract infections and to provide help for liver problems. Later, in the early centuries A.D., people began to discover the great taste that this perennial vegetable has to offer. All parts of the plant are edible–especially the stalks, which are commonly referred to as spears. Growing Asparagus Photograph by Willow Gardeners. The Asparagus plant normally takes three years before producing its first crop, or two years if grown from a year old crown. 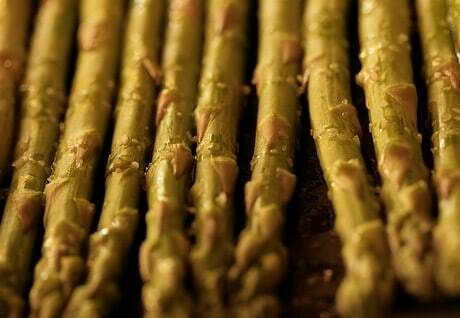 Asparagus will continue to crop for 20 years or more, and each plant can produce approximately 25 spears every year. The plant is packed with vitamins and minerals and since it can deliver a more complete balance of essential nutrients than most other edible crops, it is called as a powerhouse among vegetables. It is teeming with iron; vitamins A, B6 and C; niacin, thiamin, riboflavin and potassium. Other Asparagus benefits are that they are rich in fiber but low in carbohydrates, and since Asparagus contains no cholesterol and fat, it is a great option for people who want to lose weight; there are just three calories in a medium spear of asparagus. When planting asparagus, it is best to have a well-drained soil that can still hold water. The plant withers easily on acidic soils, and on heavy clays, so it is best for these soil types be avoided. For best results soils should have a pH of 6.5 to 7.5. Asparagus should not be planted in frost pockets (areas where cold air is trapped close to the ground), as a late frost can do great damage to the crop. Although Asparagus can grow in partial shade, placing them in locations with full sunlight should bring best results. The plant can either be a male or female. The female plants produce berries, whilst males do not. Asparagus can be grown from seed as well as from one year old plants which are known as crowns. When growing Asparagus from seeds, they should be first raised in a seed bed for around a year before they get transplanted to their permanent position the following year. When preparing the seed bed, the soil should be free-draining with full sun and not in a frost pocket. Start digging the soil around September, to a spade’s depth, and add a layer of well-rotted compost (as much as possible). Remove any weeds that may grow in the planting area. Mid-April to mid-May is the best time to sow the seeds in most areas (depending upon frost dates). Before sowing, soak the seeds in water for two hours—as this will considerably help the germination process. Sow the seeds thinly in rows at a depth of two inches (5 cm), the rows should be 12 inches (30 cm) apart. Make sure to water well, especially in dry conditions. In three weeks time, the seedlings should begin to emerge. Once they grow strong, thin the seedlings to around two inches (five cm) apart, and as soon as they reach six inches (15 cm) in height thin them further to a distance of around one foot (30 cm). 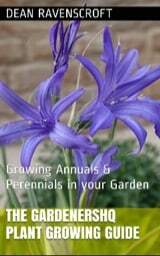 Keep the plants well-watered and weeded for the rest of the year. The asparagus crowns are best planted in mid-April to mid-May (dependent upon local frost dates). Any kind of planting plan is acceptable as long as the plants maintain a distance of about one and a half feet (45 cm) apart. Dig out a trench 10 inches (25 cm) deep by one foot (30 cm) wide and fill the bottom three inches (8 cm) with well-rotted compost before covering, and creating a soil ridge. Place the asparagus crowns on the ridges top, and drape the roots on both sides. Cover with crumbly soil so that the crown top is about three inches (8 cm) below the surface. The roots of asparagus spread a long way, so it is advisable to leave a free area of two foot six (75 cm) around the edge of the planted bed. Feed the plants with general purpose fertilizer, once in mid-March and again in mid-autumn. Always keep the Asparagus bed weed free; it is best not use a hoe as they are shallow rooted, therefore hand weeding is advisable. 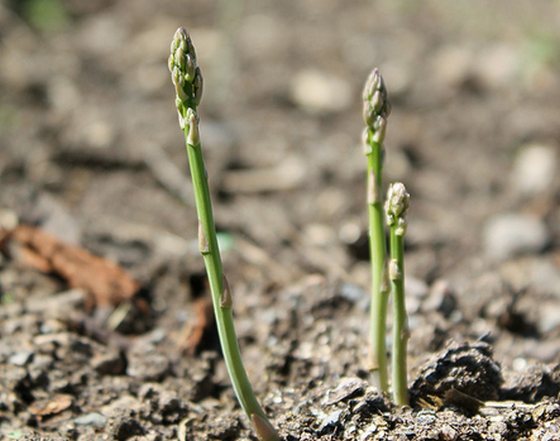 As the Asparagus plants grow, they need to have a form of support in order to avoid damage caused by the wind. Stakes along the rows of the plants with two tiers can do the trick. When the foliage turns brown or yellow in autumn, cut the plant down to two inches (5 cm) above ground level. 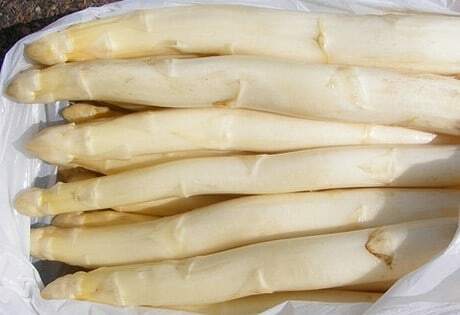 In Germany, asparagus (Spargel) is often eaten in a white form (which has an incredibly nutty taste), these are produced by growing the shoots underground. If light does not fall upon the asparagus then they will not go green. Avoid harvesting asparagus for the first two years from when the crowns were planted. This allows the development of a good root system. Although opinions vary, asparagus is normally harvested when they reach six inches (15 cm) tall. Cut the shoots off with a sharp knife about one inch (2 cm) below the soil surface. Asparagus should be harvested every three days or so due to the fact that they can grow very, very quickly. In soils that are warm and moist, asparagus can grow six inches (15 cm) in a day, so it is possible to conduct daily harvesting. Stop harvesting after the eighth week so that the growing Asparagus plants are able to build up their roots for the following season’s harvest.